To improve your skill as a Monopoly player, it is crucial that you learn which properties are most often landed on, because that makes those squares both more important to own and more dangerous if an opponent owns them. 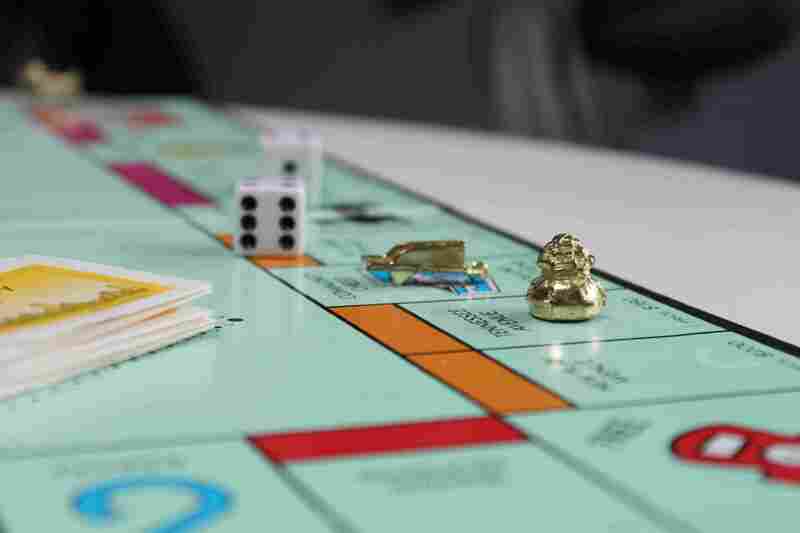 If you've ever played Monopoly then you know that snatching up all the properties of the same color gains you a monopoly. It's nice to collect rent on a square that gets landed on frequently, but if you land on Illinois Avenue repeatedly, at $20 each time, that might not cause you to win or lose the game. A surefire way to speed up the progression of the game is to build up houses and hotels on these properties. You can only build on a property if you have a monopoly (the entire color set). The set of orange properties ranks No. 1 and the set of red properties ranks No. 2 in frequency. This list only includes properties where rent is charged; spaces like Go, Jail, and Free Parking are not included. There are 28 property squares that qualify for this list. In case you are wondering, Boardwalk ranks 16th. This is the most frequently landed-on space on the board. If your opponent owns it, and it has a hotel, then you could be looking at doling out $1,100 for rent. That can be a game-changer (and quick game-ender). There are four railroads. B&O Railroad is landed on with the greatest frequency of them all. Players collect $25 rent if they own one railroad; $50 for two; $100 for three; $200 for all four. You cannot buy houses or hotels for these properties. Rolling a nine coming out of jail will land a player here. Also, drawing a "Go Back Three Spaces" card from Chance will land a player here. As a result, New York Avenue sees heavy traffic. To buy it costs $200. If you have to mortgage it, it's an even $100. If you plan to build one house on the property, it costs $100. At those prices, it's a steal. Reading Railroad is the next railroad landed on the most. Having three or four railroads early in the game is a great strategy. Railroads cost nothing to build up and will provide a constant income stream that will help fund everything else you do in the game. Tennessee Avenue is one of the best spaces to own in the game. A lot of people land here. It costs $180 to buy. If you can get an orange monopoly, most suggest that this is one of the best ways to winning the game. Pennsylvania is another railroad that gets a lot of traffic. At the beginning of the game, having one or two railroads is a good deal. But, as the game wears on, if you only have one or two railroads, the cash flow isn't worth the initial purchase price. Another one of the orange properties that is landed on with high frequency is St. James Place. If there was ever a mantra to have with Monopoly, quite simply, "Always buy orange." With a hotel, rent is $950, which can be crippling, and it is relatively inexpensive to build on. Water Works is cheap to buy and pays for itself quickly. This is especially true if you can pair it with the Electric Company. Early in the game, this can be a great card to have. As time wears on, it loses its value since you cannot build houses or hotels on it. You can win Monopoly with a set of "built up" reds with houses and hotels. Kentucky Avenue is part of that set. If you have a hotel on Kentucky Avenue you can get $1050 in rent. Indiana Avenue completes the red set. It is the least landed on property of the reds, but, in terms of probabilities, it still ranks among the top properties landed on in the game. Get it if you can, that, Kentucky Avenue and Illinois Avenue, too. The name of the game is Monopoly after all.